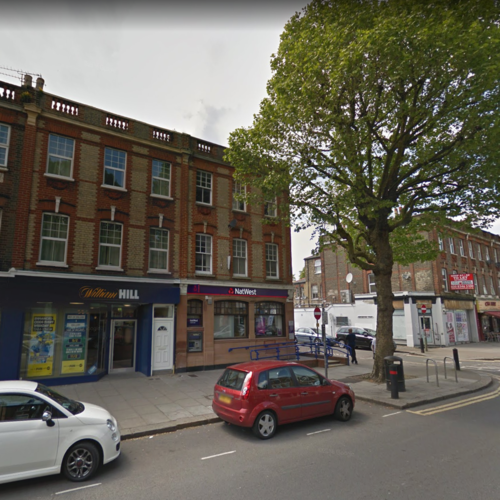 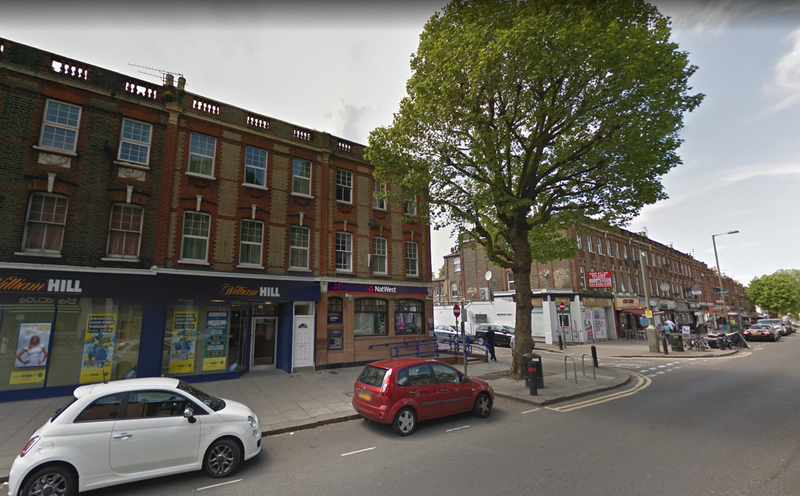 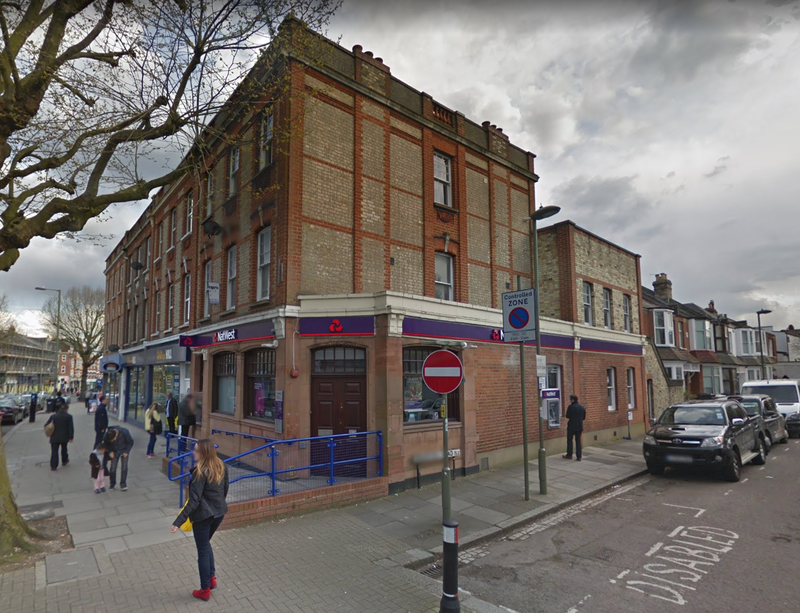 East Finchley is a densely populated North London suburb bounded by Golders Green, Finchley and Hampstead some 6 miles north of Central London. 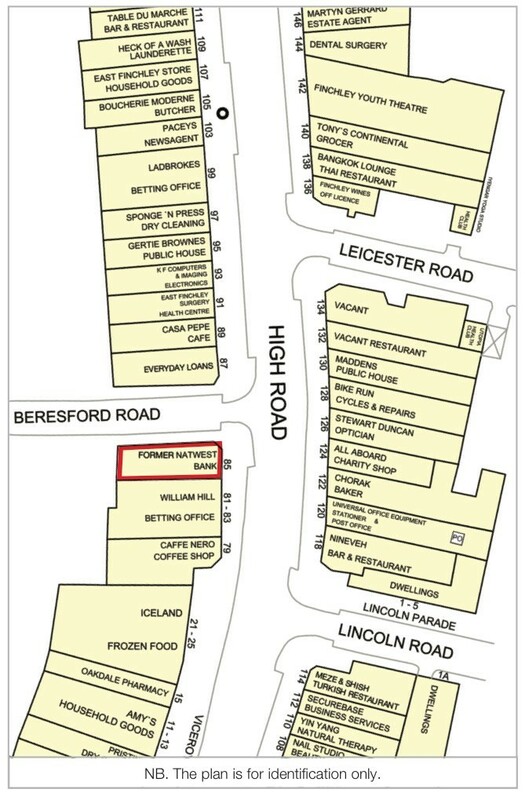 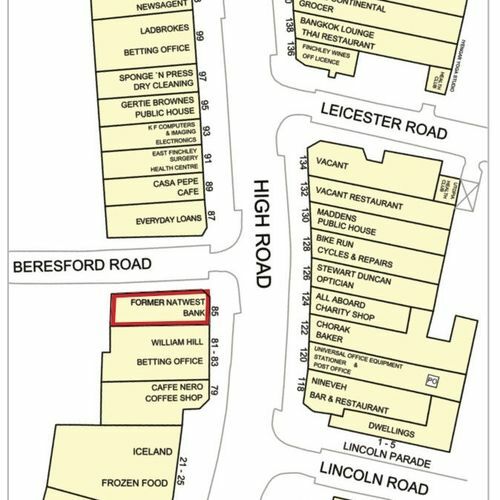 Domino's, amongst many other local traders. 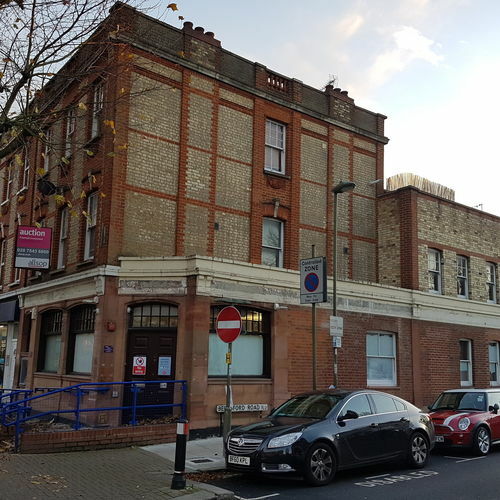 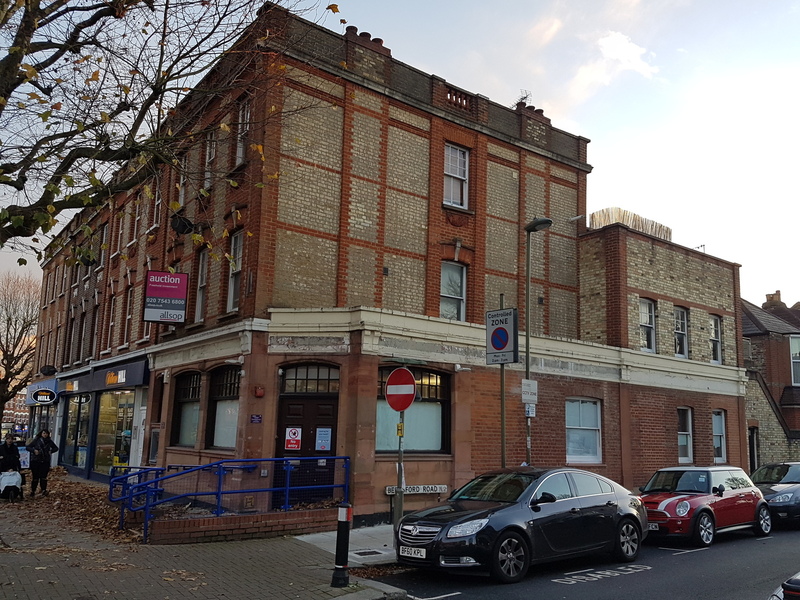 This prominent corner property is arranged on basement, ground and two upper floors to provide a former ground floor banking hall with basement storage and first and part second floor ancillary accommodation. 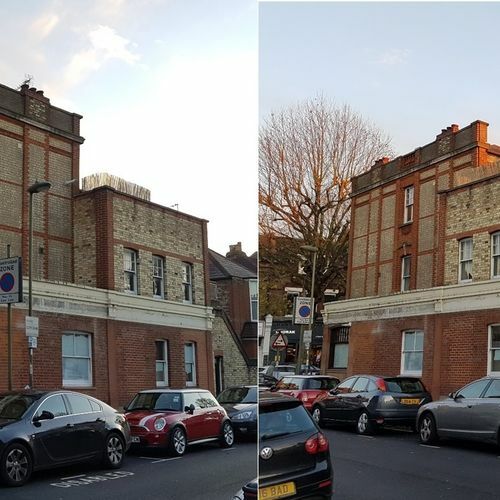 The remainder of the second floor has been sold off on a long lease. 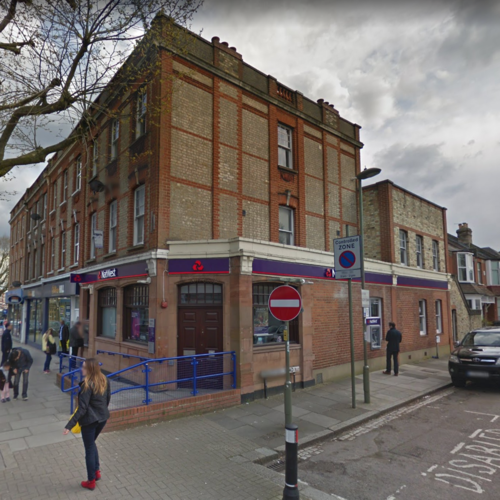 Installed on the ground floor and fronting High Road is an ATM machine.